The canoe moves above the water’s surface, while the salmon swim below. and, like the migration of the salmon, back home again. To further denote the fundamental relationship First Nations have with the Salmon, Hill designed a custom salmon weir installation. This type of fishing trap is unique to the Northwest Coast of Vancouver Island, where they were used both on rivers and in the ocean to catch salmon. The installation is an intricate design statement that speaks to the heritage of local Aboriginal communities and their ways of life. 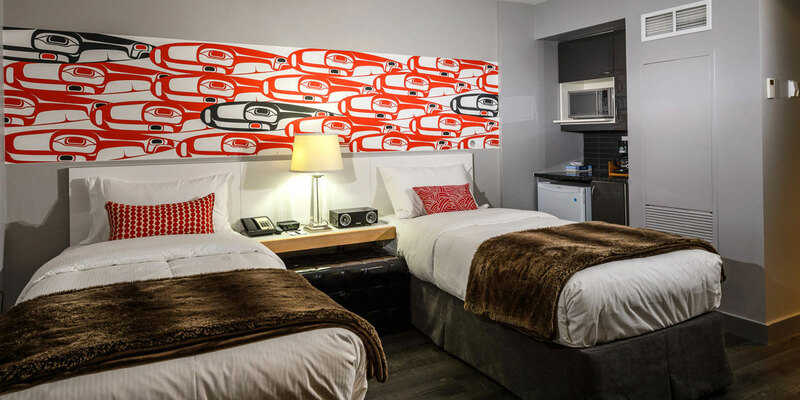 As a whole, the Paddle Suite highlights how intrinsically First Nations are connected to the waters that surround them. MCM Interiors chose a traditional palette of red, black and white for their design of the Paddle Suite, but employed these classic colours in a contemporary way to complement artists Sabina Hill and Mark Preston’s featured artwork. 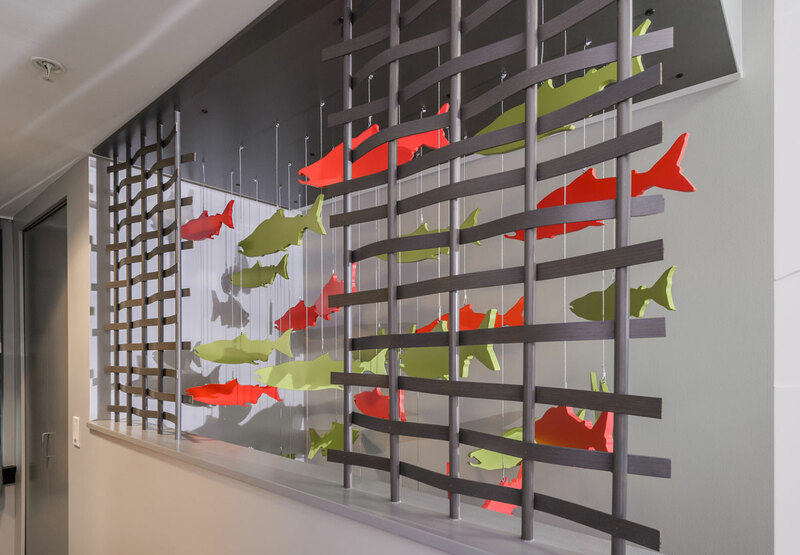 Denoting the larger theme of the suite, Hill’s salmon weir installation greets guests at the entrance to the space. Once up the stairs, the artists’ black and red paddle design has been illustrated across the headboard wall. This large graphic, together with the salmon weir sculpture, are dynamic visual statements that harmonize the overall design of the suite. To focus attention on these artworks, low lying furniture with clean lines and a neutral white gloss finish were chosen to fill the space. Flooring and countertops are also kept subdued in tones of white, black and grey. 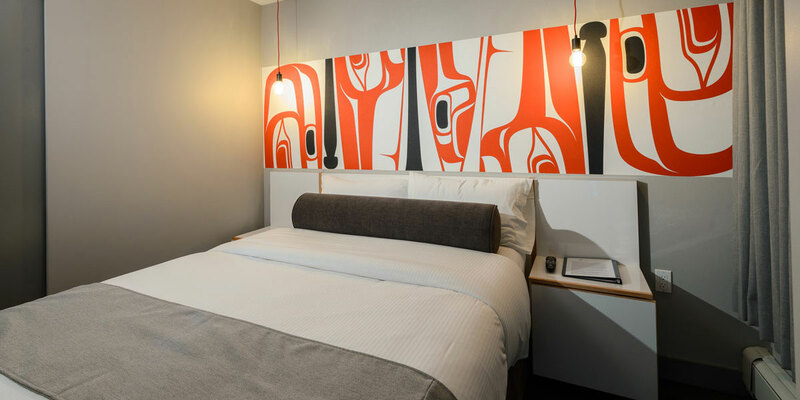 The Paddle Suite employs a modern design aesthetic to highlight the classic symbols of Northwest Coast Aboriginal culture expressed in artists Hill and Preston’s artworks.